If only they had an EU store :( I would spend soooo muuch mooney! We'll be previewing some of the items on Wowhead Weekly so let us know if you have any sizing/fit questions! I could have sworn I paid for a year of pro so I wouldn't have to see ads. And yet, I see ads. This post is not an advertisement. 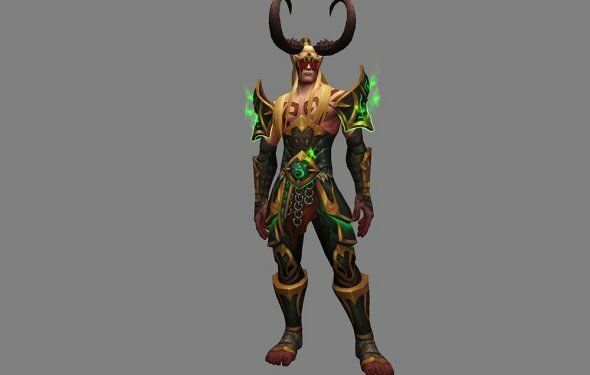 We've always made posts whenever there is new WoW-themed merchandise Blizzard creates, whether an in-game item or something new on the shop. We consider it WoW news, maybe a bit niche, but WoW has so many playstyles so we try to mention something for everyone. Hypothetically, if we were to run an article for a sponsored product unrelated to Blizzard (we do not have a system set up currently), we would disclose that in the post and look into disabling it for premium users, similar to the Amazon Deal of the Day. We've tried to get better over the years about splitting topics into unique newsposts, so if Merch (or the PTR, or lore, or blue posts etc isn't your thing), you can skip the post preview on the front page instead of having to scroll through a lengthy bit on merchandise to reach the next topic in a mega-roundup. This post is not an advertisement. We've always made posts whenever there is new WoW-themed merchandise Blizzard creates, whether an in-game item or something new on the shop. We consider it WoW news, maybe a bit niche, but WoW has so many playstyles so we try to mention something for everyone. I appreciate it as I wouldn't have known about this video otherwise. Really digging the gray Azeroth sweatshirt so if you preview that one size/fit info would be appreciated! I see absolutely nothing wrong with advertising official Blizzard merch on a Blizzard fan site. It's a slight stretch to some, but I see it as no real different than having posts about upcoming expansion details. e.g. Expansions are purchased. Posts about said expansion may sway a person in to purchasing it when they may not have otherwise. I'm a WoW fan in and out of the game. I love hearing about items I can purchase related to my interests. Thanks, Wowhead! Sadly, I see nothing I really want in this batch of goodies :( Not my style. If only that Pink D.Va bunny tee wasn't for toddlers :( So dumb.